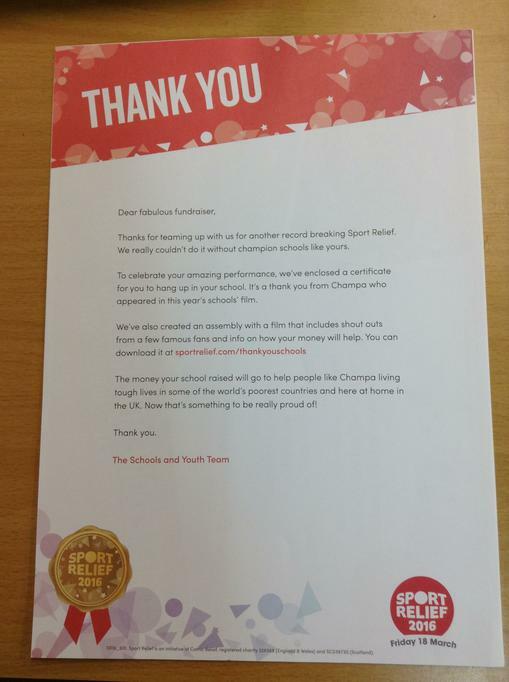 In March 2016, Peterbrook pupils took part in the Sport Relief mile, amongst other sporting activities, in order to raise money for this worthwhile charity. 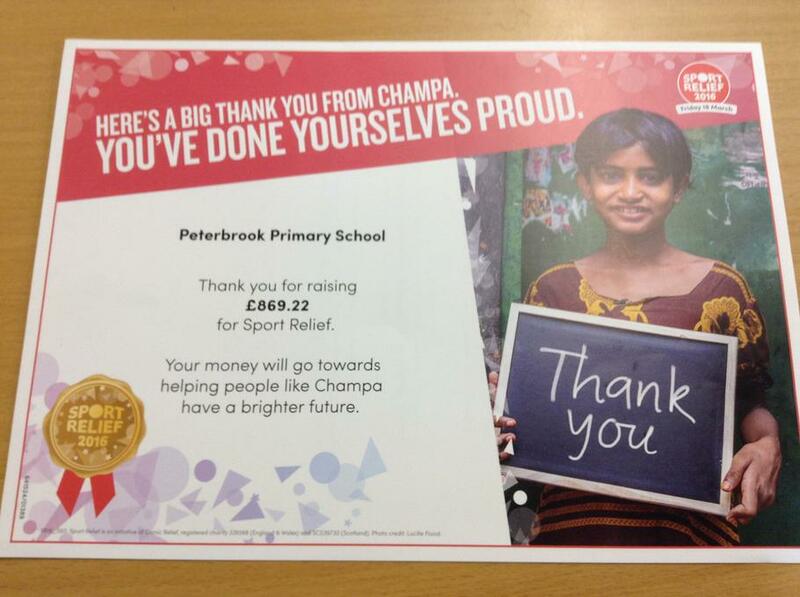 The school has recently received its certificate and we are delighted to announce that £869.22 was raised by Peterbrook pupils. A huge thank you to everyone who helped us to raise money in order help to improve the lives of children around the world.